One of my top tips when on the hunt for a thrift store find, is to keep your eyes open for patterns and prints that you love. That was the case with this oversized women’s button up shirt. As my sister and I walked through the aisles of clothing at our last thrift store hunt, this bright print caught my eye. I wasn’t exactly sure what I wanted to do with it, but the print yelled “spring” at me. So for $3, I snatched it up! Have I talked about how much I love a quick project that can easily be accomplished within a short naptime, costs little to no money to make, and ends up entertaining my kids for a long time? 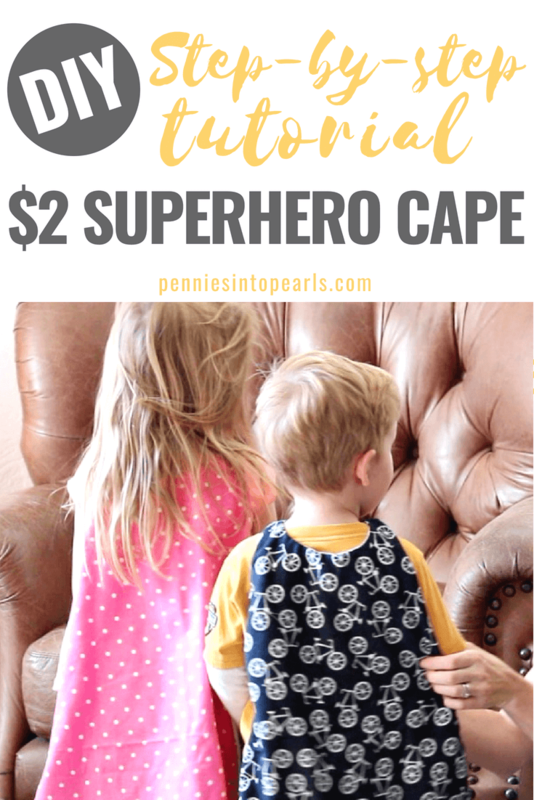 These DIY super hero capes are one of those projects! Warning! Because this project for turban headbands turns out fabulous every time, because this project is so cheap to make, and because this project takes less than 10 minutes to complete, you will find yourself completely addicted and having a strong desire to make more! Here comes another super easy fashion DIY for you! You guys know me and how much I can’t stand to over pay for something that I can easily make myself. Do you ever feel the same way? That’s what I thought when I first started seeing these turban headbands make their way around the social media scene online. First off, don’t you think that this style is just absolutely adorable? When birthday season for our family comes around, every year I say to myself, “This year we are going to do a small family pizza dinner with cake and that’s it!” But as the big day approaches and the excitement builds, I can’t help myself and the party planning begins! Have you realized how much fun little boys are? Noise with dirt on it, is a very accurate description of our little guys and oh how much I love them! Which is why it was so appropriate that we went with a dump truck construction zone birthday party theme! Open road. Fun, dance in your seat music. Beautiful scenery. Feet up on the dash. Hands out the window. Fresh air blowing through your hair. And… that lasts for about five minutes if you have kids in the car with you! Yikes! Okay maybe I am changing my mind about going on a road trip! Hold the phone! Road trips can still be a lot of fun even with little ones buckled up in back! It’s the last few weeks of winter and everyone is getting a little stir crazy up in here! Okay, maybe not so much down here in San Diego. But I do feel for you my friend, who live in other areas where it is still cold. Remember, I lived in Idaho for about five years. So I do know what it’s like those last few weeks of winter just hoping spring was near! That is why my kiddos and I have put together these boredom busters to help you guys make it through the end of winter. Happy New Year… 2016 Sneak Peek! Isn’t the New Year so inspiring and motivating? There is something special about the beginning of a New Year and all the possibilities of change and improvement! Have you set any goals for the New Year? Let me know in the comments bellow! Sharing goals makes them a little more real and keeps you a little more accountable. I personally love hearing other people’s goals because their goals motivate me to do better! 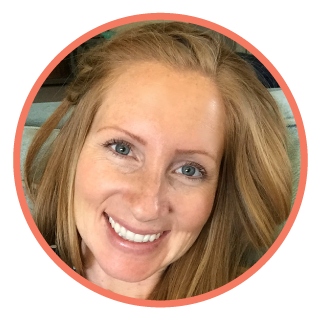 Are you feeling like this is the year you want to live frugal AND fabulous?! I knew I was going to need to know how to make a bow tie as soon as I found out I was pregnant with my son. What I didn’t know was how much I was going to fall in love with the cute little things (the bot ties and my baby boy) and want to put them on everything! They are so simple to make and they don’t have to be just for boys! Add the bow tie onto a cute little hair clip and it’s all ready to dress up any outfit for your little girl or even yourself! Do you have a hard time finding the perfect pair of shorts? I hope I am not the only one. Either I finally find a size that fits just right and the style has a lot lacking or I find a pair that is beyond cute and they do not fit me right. I can’t be the only one with this problem! Adding lace to any piece of denim is super fabulous! Don’t you love how the dainty design of lace compliments the rustic feel of denim? If you walk into any clothing store right now, you are sure to see this style floating around.